This sweet floral trimmed bunny invitation is perfect for a Easter or spring themed baby shower! 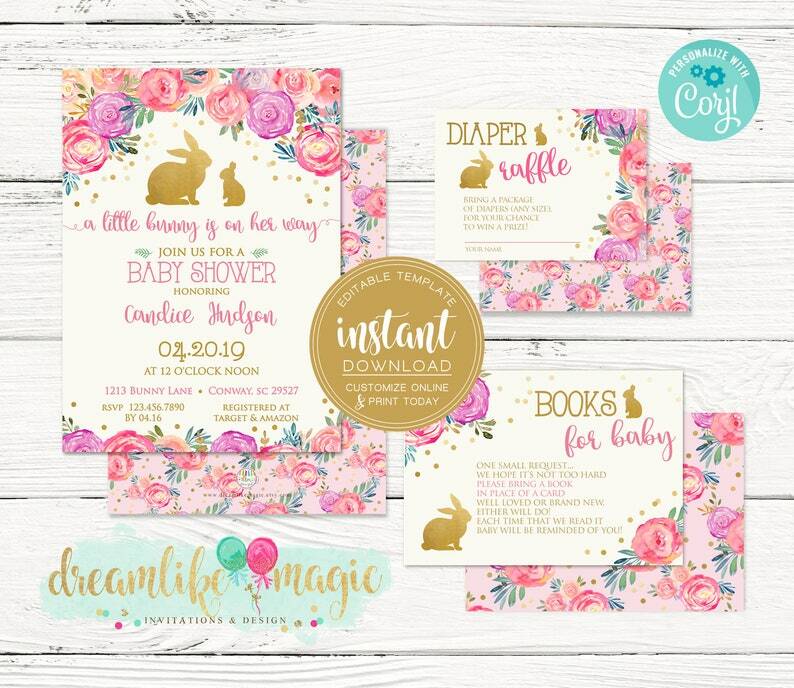 Featuring faux gold foil bunnies, a soft cream background and floral bunches...this theme will be loved by many! Do It Yourself with our Editable Baby Shower Invitation Set, which includes a 5x7 Invitation, Book Request Card & Diaper Raffle Ticket. Want us to customize and or print for you? Please send us a convo for pricing! This design includes a high resolution photo of gold foil used, it will print as shown, quality of print will depend on your printer.